As the semester nears its end, so does the Mounties Athletics season. Over the last couple of weeks, Mount Allison’s varsity badminton and swim teams concluded their seasons, sending athletes to represent the University at their respective national championships. Two members of the Mt. A badminton team competed at the 2018 CCAA Badminton National Championships at the Concordia University of Edmonton from March 1 to 3. Olivia Adams and Suzuha Tanaka qualified for women’s doubles and played off against teams from British Columbia, Alberta and Ontario. Adams and Tanaka competed hard throughout the event but fell 0-5 in the round robin stage. 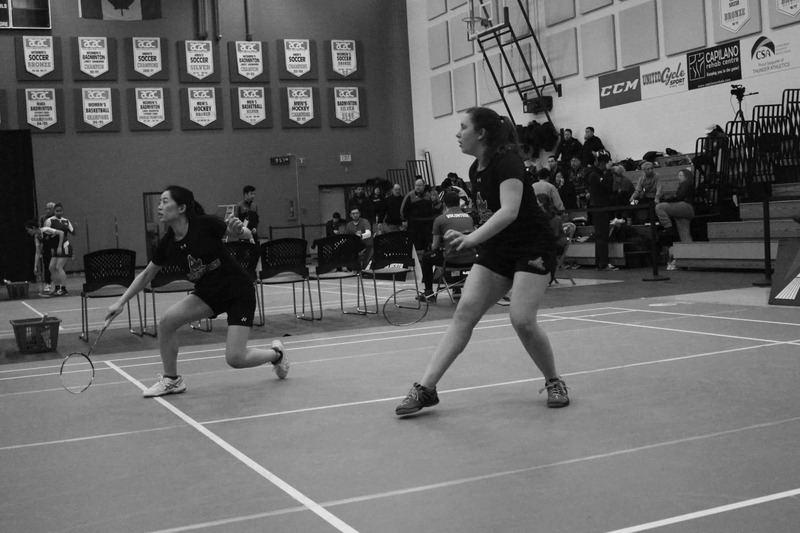 On the final day of competition, they played off in a 5-6 match against Bea Bernardo and Ryo Kuramochi, a pair from the Northern Alberta Institute of Technology. The pair played a close match, going all the way in three exciting sets, but fell short, losing the match 21-17, 12-21, 9-21. This year is Adams’ last with the team. “It has been such an amazing opportunity to be able to travel and play the sport I love, meeting players who are just as dedicated both athletically and academically,” said Adams. In addition to sending two members of the badminton team to compete, two members of the Mt. A swim team competed at the 2018 U Sports National Swim Championships at the University of Toronto from February 22 to 24. Geraint Berger and Olivia Feschuk represented the Mounties in multiple events. Berger competed in the 50-metre freestyle, 100-metre freestyle, 200-metre freestyle and 100-metre backstroke. The fourth-year Mountie qualified for the finals in the 50-metre freestyle, 100-metre freestyle and 100-metre backstroke. Berger’s best finish was 15th in the 50-metre freestyle. “I was happy with the way I competed. I left it all out there,” said Berger. Feschuk competed in the 50-metre backstroke, 100-metre backstroke, 200-metre backstroke and 100-metre breaststroke, making the finals in the 50-metre backstroke and 200-metre backstroke. Feschuk posted her best finish in the 200-metre backstroke, finishing 20th. Feschuk also broke an Mt. A record in the 50-metre backstroke, breaking her time from last year’s nationals. Both the badminton and swim teams represented Mt. A at the highest level this year. Tanaka hopes to be back next year, while Adams, Feschuk and Berger will be graduating. “I’ll certainly miss Mt. A moving forward, but I’ll always have the great memories competing for the Mounties,” said Berger.